If you want to become better at what you do than the vast majority of people in the world, you’re going to have to put more focus, time, and effort into what you do. That’s seems pretty obvious, doesn’t it? 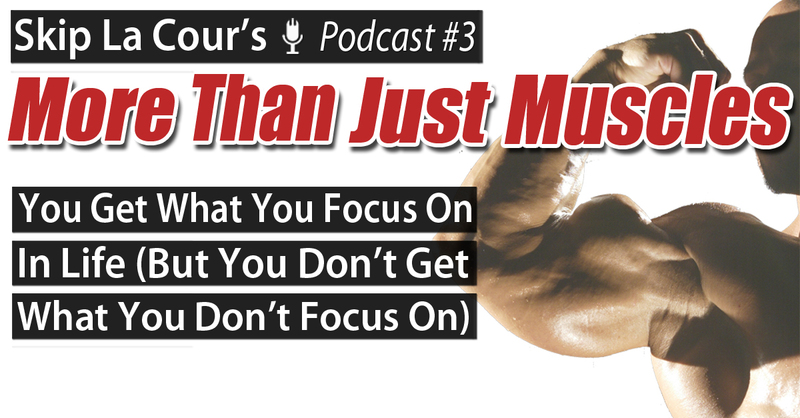 If you aren’t getting what you want in life, are you really investing the focus, time, and effort that you must? If not, where is all that energy going? You get what you focus on in life–but you don’t get what you don’t focus on. There’s a reason why people with amazing bodies have those amazing bodies. Sometimes, they don’t even realize it.